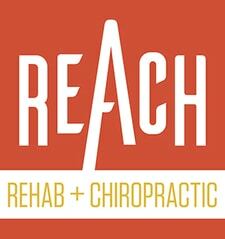 Here at REACH Rehab + Chiropractic, our aim is relieve any pain as quickly as possible while addressing the underlying issue that have caused the symptoms. Through patient focused chiropractic care, we help to relieve pain in athletes, hard workers, and everyday people in the Plymouth community. Chiropractic Adjustments, Motion Palpation Joints often become restricted due to poor posture, improper bio-mechanics, and/or injury. A joint that is restricted leads to excessive motion in nearby joints. This excessive motion leads to degeneration of the joint. Therefore, restoring movement and function in all joints is a preventative procedure for future degeneration and dysfunction as well as golf injuries. Dr. Burr uses manipulation and mobilizations as taught by the Motion Palpation Institute, a bio-mechanically sound and evidence-based chiropractic manipulation technique. Functional Performance Rehab consists of a variety of corrective and performance exercises with the goal of improving your physical movement, function, and performance. Exercises are custom-tailored based upon the findings of your functional assessment & movement screen. When a particular muscle is not doing its job correctly (inhibition), other structures have to pick up the slack causing them to become over-stressed. This is called altered motor control and can be du toe many factors including frequent sitting, sedentary lifestyle, poor postural habits and previous injury. This causes undue tension in the aforementioned over-stressed muscles, ultimately leading to pain and injury. Corrective exercises are designed to curb altered motor control by stimulating the inhibited muscle(s) in functional patterns which translates to more efficient movement in sport and everyday activities; thus, increasing performance while decreasing the risk for injury. Have you bounced around from office-to-office hoping to be fixed or healed, are frustrated with the results, and losing hope it’s something you’re just going to have to deal with? If your answer is “yes,” and the video above resonates with you, we are likely to be a great fit.